We took our plane to Chandler Avionics to have a new piece of equipment installed. They are a great company to deal with, and kept us informed the whole way. Alas, their website did not showcase them in a favorable light. It looks very outdated and, in fact, much of the information was - either in pricing or availability. 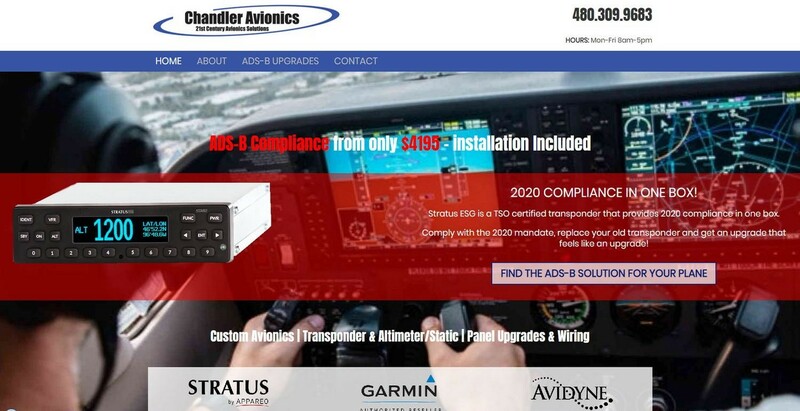 We kept any content from the old site which was still relevant, grabbed fresh information, and blended the 2 into a new, modern layout that guided users through their avionics upgrade process in a smooth manner.